Get on the beat with a new hit drama. Loaded with provocative banter and a talented cast "too appealing to resist." 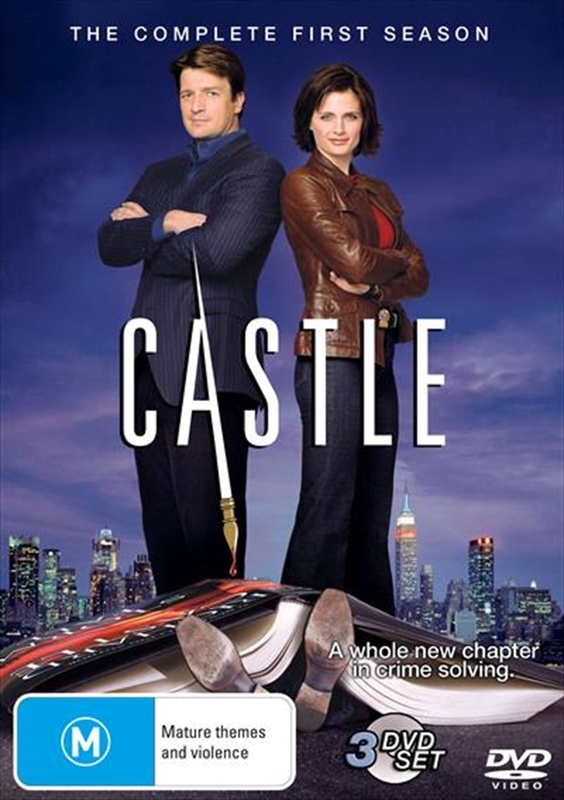 Says Glenn Garvin of the Miami Herald, Castle: The Complete First Season is can't-miss entertainment. Rick Castle is a world-famous crime novelist whose stories come to life when a copycat killer follows his literary blueprint. Enlisted to help the NYPD stay a step ahead of the murderer, Castle realises working with the police can also supply him with a slew of ideas for his next book. The relationship gets a little more complicated - and a whole lot more fun - when he is paired with the attractive Detective Beckett, who doesn't appreciate Castle's unorthodox style. Experience every witty, suspense-filled moment of the original series in this 3-disc DVD collection. Packed with never-before-seen bonus features, including a behind-the-scenes peek at the case, this addictive series is a killer on DVD!